It read like a Hollywood script. One day, an unassuming black teenager is picked up off the streets of Winston-Salem, North Carolina by policemen searching for a suspect in the murder of a 25-year-old white woman. Though innocent, he's charged and convicted of the crime by an all-white jury. After all legal channels for appeal are exhausted, and despite exculpatory DNA evidence, the man's lawyer realizes the only way he can free his client is to find the real murderer himself. He does. After nearly two decades of incarceration, the wrongly convicted man is released from jail with nothing but forgiveness in his heart for the people who denied him the prime of his life. "It's almost more dramatic than a Hollywood version, because you'd see a Hollywood movie and go, ‘That can't be true. He doesn't come out like Gandhi afterwards!'" says filmmaker Ricki Stern, who, with co-director Annie Sundberg, chronicles this true story of prejudice and injustice in the 2006 documentary The Trials of Darryl Hunt, which was distributed by THINKFilm and broadcast on HBO. "Yes, he is kind of like Gandhi afterwards." Stern and Sundberg knew the story could attract attention from Hollywood, so the filmmakers negotiated deals to acquire the rights to the life stories of Darryl Hunt and his lawyer, Mark Rabil. In the event that a remake was produced, Stern and Sundberg wanted to make sure that they would be compensated for the 10 years they spent following the case; that the subjects, with whom the filmmakers had grown quite close, would be taken care of properly; that they would have a say in who got permission to retell Hunt's story; and that they could dictate, to a certain degree, their own involvement with the adaptation. Increasingly, documentaries are being viewed not just as properties to distribute but as development material for producers looking to make feature film adaptations, stage productions or television series. More and more, documentary filmmakers are obtaining life-story rights from their subjects so that they will hold all of the cards when producers come calling. "It's a hot issue right now," says Victoria Cook, an entertainment lawyer and partner at Frankfurt Kurnit Keil & Selz in New York City. "There's a lot of activity in the remake doc market." Some high-profile examples: New Line Cinema is working on an adaptation of The King of Kong: A Fistful of Quarters, Seth Gordon's documentary about video game legends (with Gordon attached to direct the adaptation). 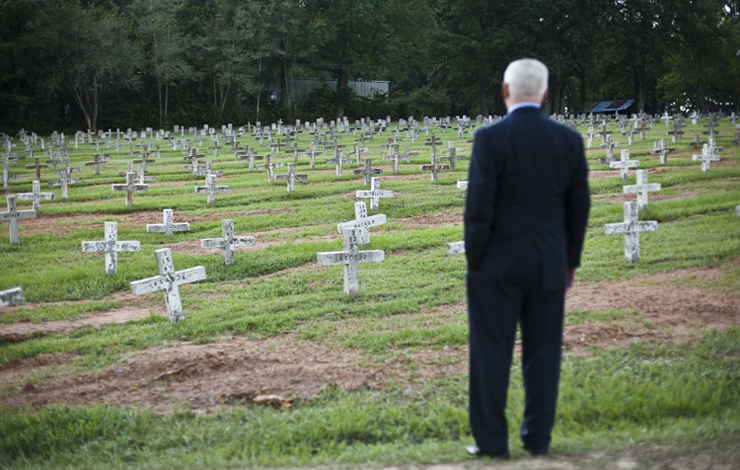 The latest documentary from Peter Gilbert and Steve James, At the Death House Door, about a former Death Row chaplain in Texas, is being reworked for a feature by IFC, which funded the documentary. And Brett Morgen's Chicago 10, which blends animated re-creations, archival footage and public-domain court transcripts to tell the story of the 1969 "Chicago Seven" trial, has been optioned for a remake, to be directed by Steven Spielberg. Why would filmmakers need to get life-story rights from their subjects? Roz Lichter, a New York-based entertainment lawyer, explains that, legally, producers making a fiction film based on a documentary subject are under no obligation to sign any deals with the documentary filmmakers, who, in many cases, uncovered the story in the first place and proved it could be told in a cinematically compelling way. Feature film producers need to negotiate with documentarians only if they want to promote their feature as based on the nonfiction film, or if they plan to tell the story in largely the same way the documentary does. Even then, some studios will take their chances. W. Wilder Knight, an entertainment lawyer with Pryor Cashman in New York who worked on Marilyn Agrelo's Mad Hot Ballroom, says the feature film Boys Don't Cry closely tracked the structure and narrative told in Susan Muska and Greta Olafsdottir's documentary, The Brandon Teena Story. But he advised the filmmakers against suing the studio. "My clients ramping up for major litigation against a major studio is not the best use of time," Knight explains. "That falls into the life-is-short category." Stern and Sundberg found themselves in a similar situation concerning their most recent documentary, The Devil Came on Horseback, about a former US Marine captain in Darfur. The film's subject, Brian Steidle, didn't sign over his life-story rights to Stern and Sundberg, opting instead to write a book, which he ended up selling to the production company 72 Productions for a feature adaptation. The company didn't buy the remake rights for the documentary, although Stern is convinced the film played a role in the production company's pursuit of Steidle's book. "If you've had a doc made about you, you can't deny the influence of that on people looking to make a fictionalized version," Stern maintains. The production company did sign a separate agreement with Stern and Sundberg to be able to market the film in connection with the documentary. To make sure that documentary filmmakers don't get overlooked, lawyers advise filmmakers to secure life-story rights from their subjects whenever possible and package them together with the adaptation rights. Cook says a package deal is attractive to studio executives, who are generally looking to minimize the risk of litigation and limit the effort they have to expend to obtain all underlying rights to a project, and can actually make adaptation deals more likely. Although documentary filmmakers can always go back and negotiate deals with subjects when an offer arises, setting up an agreement in the beginning is preferable, according to Cook. While potentially advantageous, however, it's not always practical, Stern warns. "You run the risk of alienating [subjects] if you're coming at them with a legal document" before you ever start shooting, she explains. Stern and Sundberg advise starting the conversation about best- and worst-case scenarios for the film and possible offshoots only as early as feels comfortable. Life-story rights are somewhat of a misnomer because no one owns their own stories. Facts can't be copyrighted or trademarked, and, just as producers don't always need remake rights to make a fiction film based on a documentary, neither do producers technically need a subject's permission to make a movie or TV program about his or her life. (Think E! True Hollywood Story or, in the literary world, the unauthorized biography.) But studios that don't secure life-story rights from subjects are opening themselves up to potential lawsuits-claims of libel, defamation or invasion of privacy. Thus, life-story rights deals, at their core, are promises by subjects not to bring such claims against the studios. The agreements can be set up in a variety of ways. Subjects can restrict the deals to certain periods of their lives, or they can retain certain rights, such as the right to tell the story in book form, even if they give a studio permission to develop everything else from feature films to video games. Studios, understandably, want agreements to be as broad as possible to maximize the potential revenue they could extract from the project. In typical life-story rights agreements, subjects grant producers permission to fictionalize certain elements of their stories. They also agree to consult with producers, furnish them with materials that could be helpful in the writing process, and help promote the film. In return, subjects receive a payment when the deal is signed-anywhere from $1 to tens of thousands of dollars, depending on the situation--with more promised if the project goes into production, typically a percentage point or two of the film's total budget. If subjects sign over their life-story rights to documentary filmmakers, the filmmakers can turn around and option the rights to a studio, and the rights will revert back to the filmmakers if the studio doesn't move forward with the project after a certain period of time. Although the legal agreements generally aren't that complicated, closing the deals can be. "They are the most frustrating agreements you can negotiate," Knight says. "People begin to think their rights are worth many, many millions of dollars when, in fact, they're not." The other difficult part is convincing subjects to give up virtually all control over how they are portrayed on screen. If subjects or filmmakers demand too much, they risk jeopardizing the entire project. "You try to find a sweet spot where you're satisfying yourself and your subject, but you're also making it palatable to producers who are going to be purchasing those rights," says filmmaker Jesse Moss, who obtained life-story rights from the subjects of his documentaries Speedo and Con Man. In reality, subjects and documentary filmmakers never see a big payday from the studio unless the remake goes into production. "Not a lot of money changed hands," Moss recalls of his initial deal with Speedo, a demolition derby driver from Long Island, New York. "I didn't have any money. It was a modest sum, and I said, ‘Look, if this film gets made, we'll both do well and if it doesn't, then nothing happens.'" Although Warner Bros. optioned Speedo for a remake, the project never went anywhere, Moss reports. Currently, he's is working on a script for a fictionalized version of Con Man for Paul Giamatti's production company. Few documentaries optioned by studios ever make it into production. Which is why Morgen, who obtained life-story rights from the subjects of his documentary On the Ropes, about amateur boxers in New York-another remake that was never realized-is so adamant that documentary filmmakers look out for their subjects when life-story rights deals are first brokered. "As filmmakers, we'll go off and have our careers, but for the subject, this is probably their best chance," he says. Paying a subject only $1 to option life rights, promising much more on the back end, is, in Morgen's opinion, "exploitative." But sometimes that's the only way deals can get done, and, for some subjects, at least, that's really all they care about. Before a special screening of The Trials of Darryl Hunt at New York University last year, Hunt addressed the issue of giving up his life-story rights to the filmmakers. He said he felt he owed Stern and Sundberg. "There's no way I could have told this story," he said. "There's nothing in this world I could give them that would compensate them for what they've done for me." Concerning a fiction film of his life, Hunt said the goal was to have his story heard. And fiction films undeniably have a further reach than documentaries. Stern confirms there has been some interest from various parties, but no real progress. "Annie and I got sidetracked with other projects," she says. But to Stern, there's no mystery why documentary subjects would want to give documentary filmmakers their life-story rights. "They know we will do our best to keep the integrity of their journey intact," she says. "They're not film producers. They don't want to be film producers. They might as well work with people they know and like and trust to make the best possible movie." Tom Isler is a writer and filmmaker in New York.